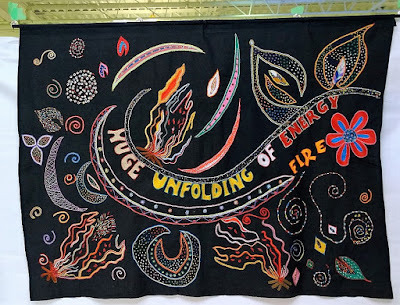 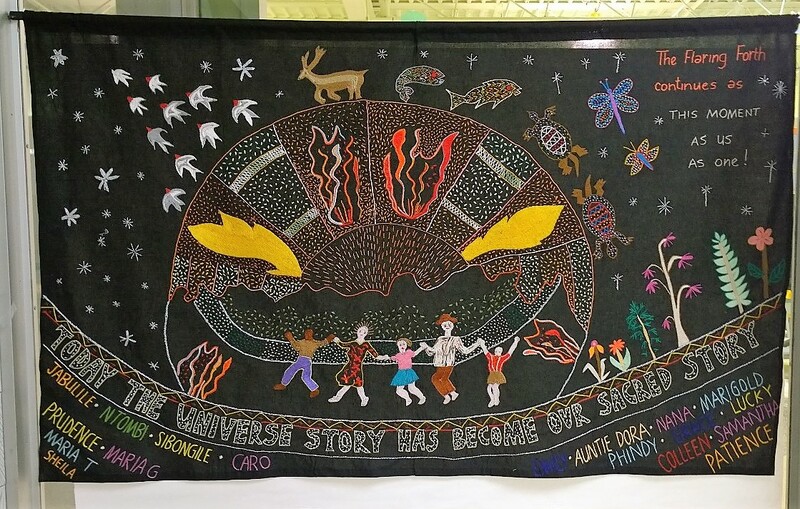 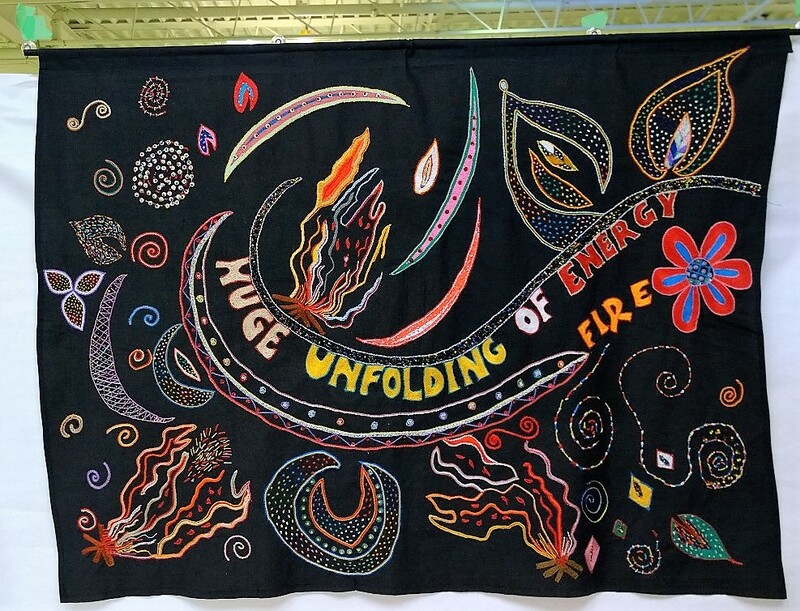 The Kopanang Universe Canticle is a traveling exhibit created by women in the Kopanang Community in South Africa. I was fortunate to see this body of work during the Espanola Fibre Arts Festival last month. 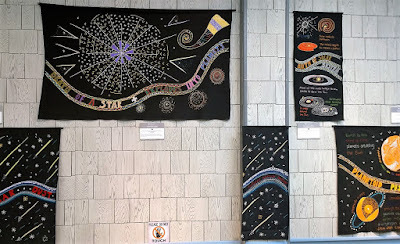 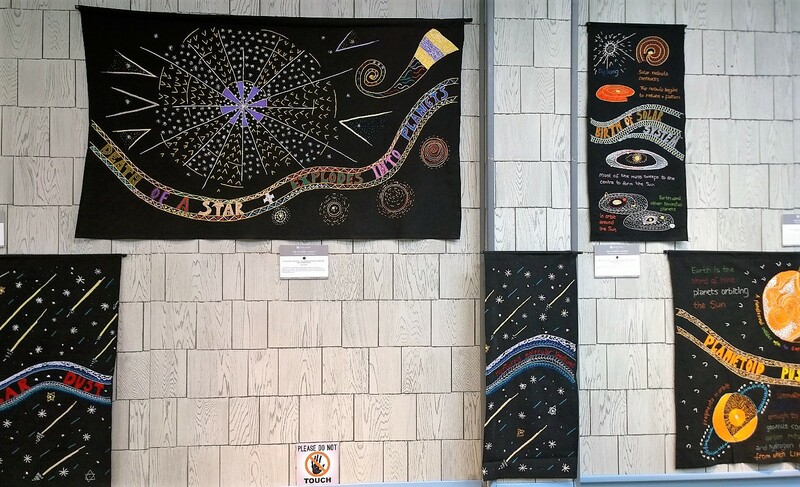 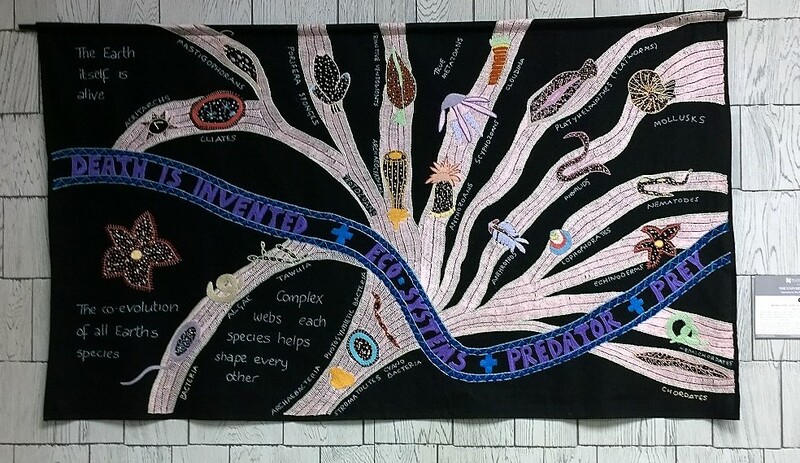 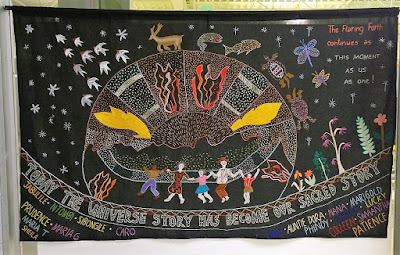 This collection of 35 stunning hand embroidered wall hangings depicts the universe's story of evolution but also reveals and strengthens the spirit of the Kopanang community. 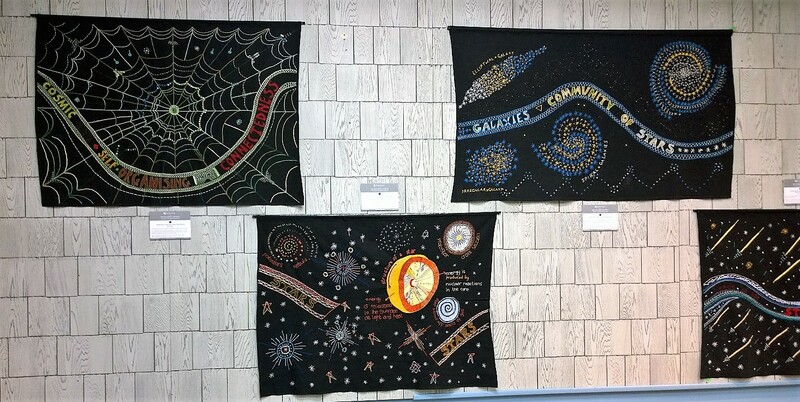 The intricately embroidered panels tell the story of the universe as interpreted by 17 Kopanang women as a means to celebrate life and creation. 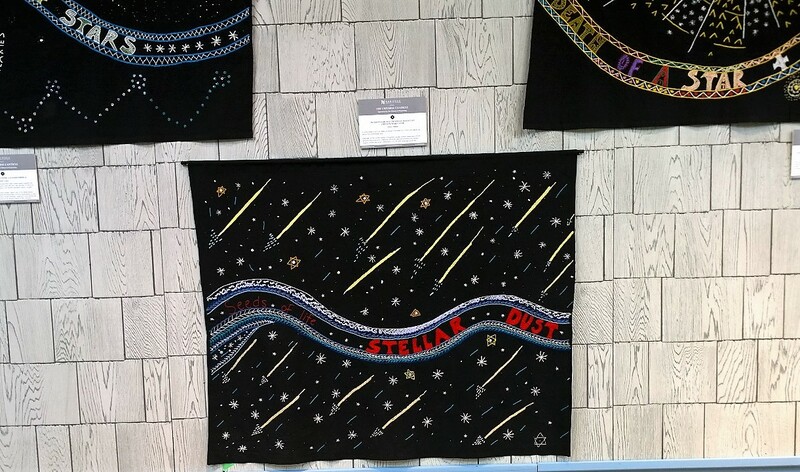 Here's part of the display. Many thanks to Judy for allowing us to repost her article. 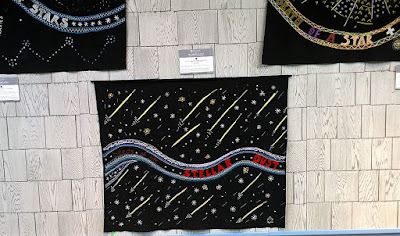 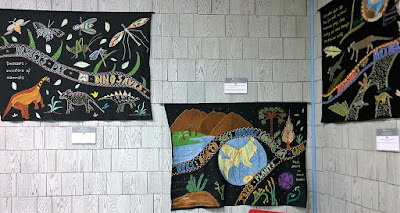 Be sure to check Judy's blog to see more of her photos of this exhibit and to read more about her love of fibres of all sorts.